Sustainability is a big deal for us at Cerberus. We’re all now much more aware of the human impact on the planet and many are already taking simple steps like eating less meat (or even going vegan), buying local and cutting back on car usage. But how can your printing choices help you become more sustainable? We’ve penned our top tips. If the quality is on the mark, and you put it in front of the right people, you’ll probably need less in the first place. Take a flyering campaign to advertise a product offer for example. 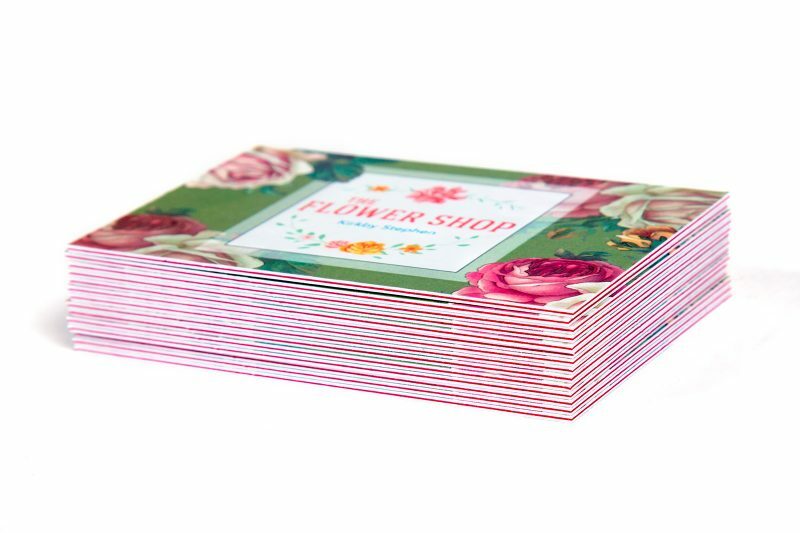 You could go and get 10,000 flyers printed on a standard budget paper stock like 150gsm silk and then pay Royal Mail or another distributor to deliver them to 10,000 households. This method involves a lot of paper and whilst it’ll reach a lot people, it’ll probably just be regarded as junk and go in the recycling. Cheap silk paper doesn’t have wonderful environmental credentials either. By using this method, you’ve probably condemned at least 90% of what you’ve paid to be printed to the bin. It seems crazy, doesn’t it? Can you think of another resource you pay good money for that you’re willing to be so wasteful with? You also need to get the design right. Poor design will put people off straight away or it may confuse people, leading to your flyer going straight in the bin. Even a simple design can be difficult to get right and it will definitely pay to use a professional designer. Only design yourself if you’re confident you know how to get your message across and maintain a strong image that matches your brand identity. Finally, really think about where your marketing material is going. Spend some time thinking about your customer profile and make sure you’re not wasting time and paper sending something to someone who just won’t be interested. For example, if you run a butchers, there’s no point sending something to a vegetarian is there?! By using a more targeted approach with a better quality paper, you’re more likely to impress and have an effective campaign. And, because you’re using less, it should be budget friendly too. 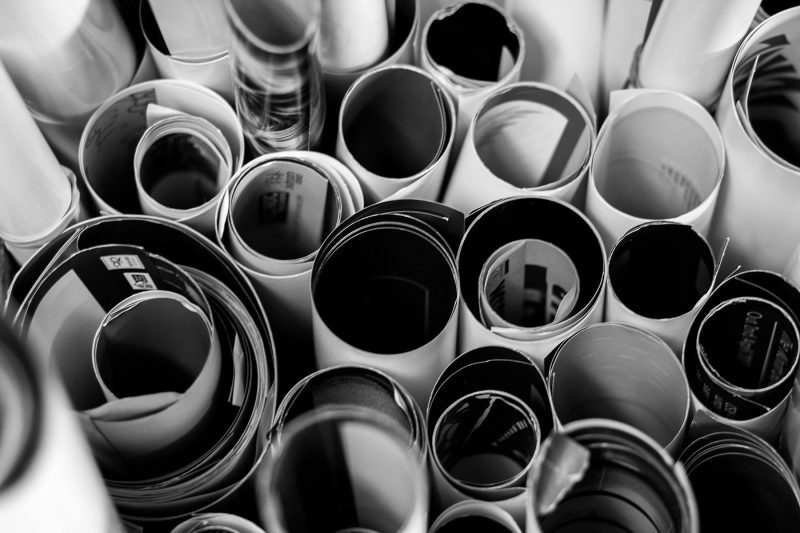 It’s proven that paper-based marketing is still very effective, so it’s about making the right choices. Instead of having 10,000 flyers printed, have 5000 but get them printed on a good quality paper that has substance and character. It’ll showcase the quality of your product far better and impress potential customers more. Better still, pick a premium paper that has excellent environmental credentials such as it’s recycled or has come from a carbon neutral papermill. A good printer will be able to guide you through the options (if they only offer silk paper, run away!). Check that the paper is FSC certified. The FSC (Forest Stewardship Council) ensure that the wood pulp used to make paper comes from a sustainably managed forest. There are different grades of certification, but FSC mix should be the minimum requirement as far as we’re concerned. At Cerberus, if it’s not FSC, we don’t stock it. You can find out more about FSC and how they operate here. Pick a paper which is either Elemental Chlorine Free (ECF) or Totally Chlorine Free (TCF). Chlorine is used to bleach paper but we all know it’s a nasty chemical, and frankly, it’s better if it’s not there at all. There is now a trend for papers with a more natural look and that often means no bleaching is required. Consider a 100% recycled paper. 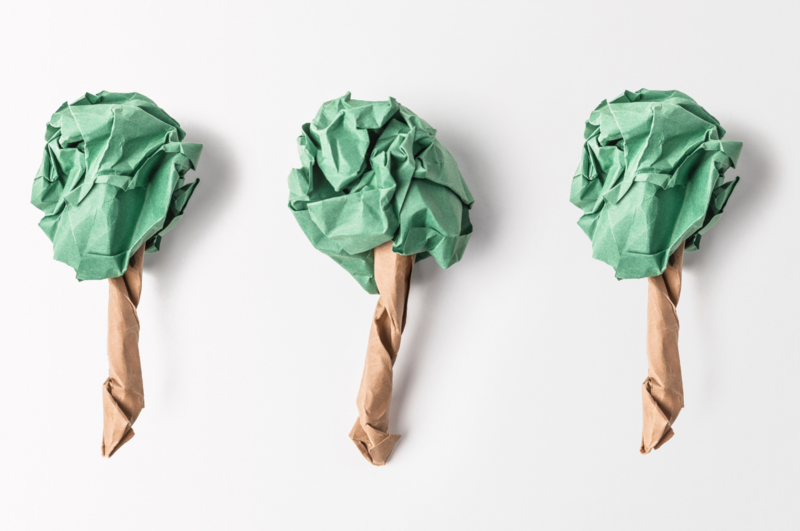 The government used to provide tax incentives for mills to produce recycled papers but that is no longer the case which has led to a reduction in recycled paper options available. We think it’s about time that that changed. 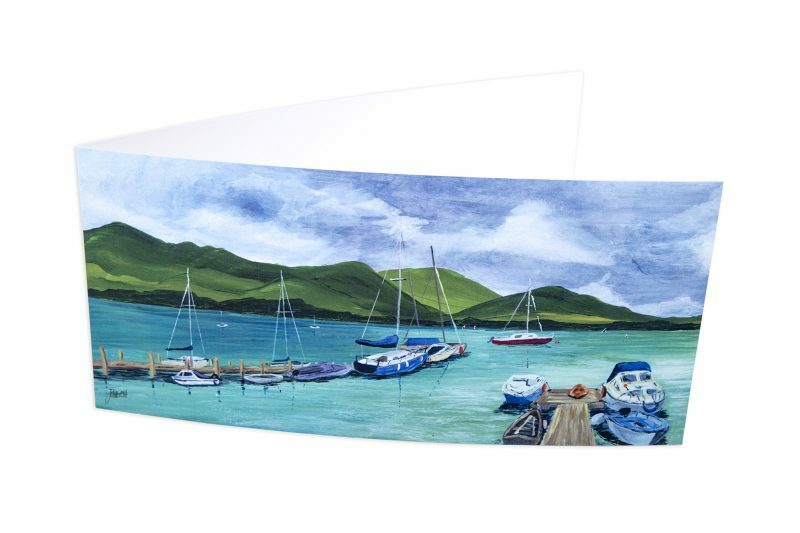 At Cerberus, we stock a beautiful range of 100% recycled paper from a British supplier, Paperback. Better still, all the paper in the range come from a carbon neutral mill, which uses electricity generated from wind power. Recycled paper is often quite raw in appearance and texture, so might not be suitable for all uses but it’s definitely worth considering. Finally, don’t be afraid to ask a printer what they’re doing to reduce THEIR environmental impact. Do they have any environmental accreditations? Even something as simple as the packaging they use should be considered because, at the end of the day, you’ve got to deal with it. Much better a recyclable box than lots of plastic and bubble wrap! Are you looking to make more sustainable printing choices? 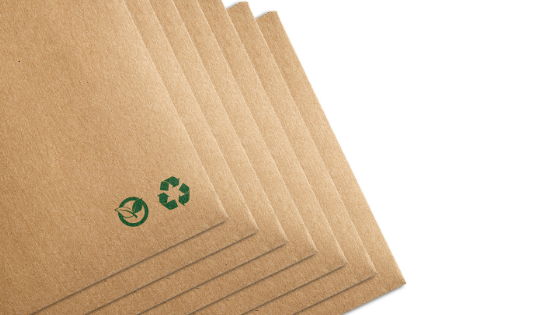 We have a great range of sustainable paper options for many of our printed products. 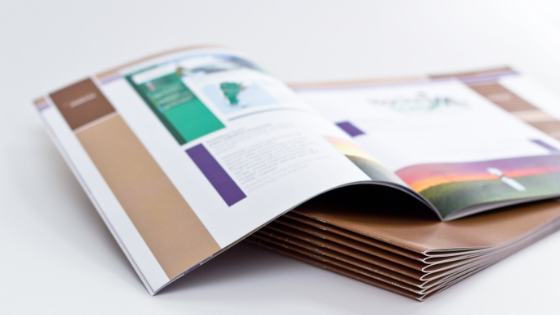 If you’d like to learn more about how we can help you to make more eco-friendly printing choices, just get in touch for a chat!